In February next year, the Royal Institution of Naval Architects will publish another issue of Significant Small Ships, its annual round-up of first-in-class, innovative and unique vessels, boats and craft sized between 1m-100m and delivered in 2018. 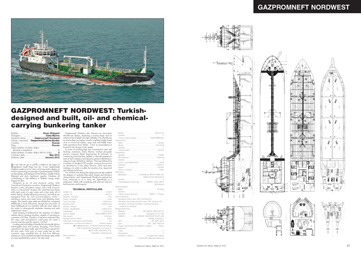 Published in its current form since 2000, Significant Small Ships typically collates the pictures, particulars and general arrangements of approximately 30 vessels delivered in the previous year, as selected by the Ship & Boat International editorial team. Taking in a truly global selection of designers and construction yards, previous entries have ranged from a miniature, one-man tug-training simulation module to the world’s fastest, partly LNG-fuelled, 99m loa passenger ferry. If the vessel shines on merit, there is every chance it may be included, be it a fishing vessel, pilot boat, crew transfer vessel, offshore support vessel, tug, dredger or RIB.